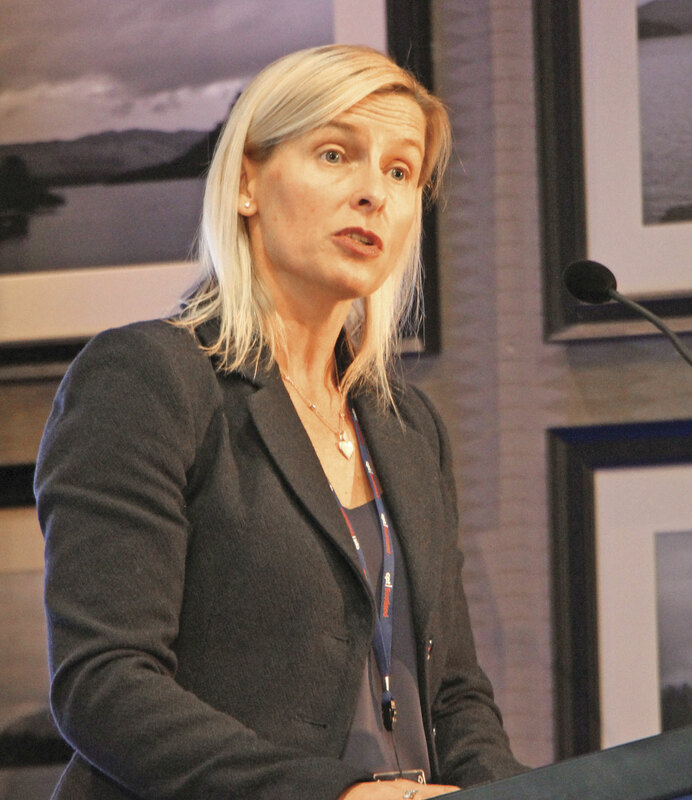 For its 41st Annual Conference, CPT Scotland returned to Cameron House on the shores of Loch Lomond, though the recent appointment of First Glasgow MD, Fiona Kerr to a new post as Head of Operations in Scotland for Travis Perkins, meant that Sandra Whitelaw, MD of Whitelaw’s Coaches, stepped up to the Chair. Sandra will now serve for 18 months and two conferences, having already carried out the chairman’s role for a term some 15 years ago, though as she pointed out it was Fiona who had set the theme for the event and undertaken most of the planning this year. In her remarks opening the conference, Sandra Whitelaw said that the number of delegates was the highest for some years at 135. Although she had not set the agenda, she believed that the themes of innovation, inclusion and integration were as important whether you were a small local company or a major international operator. Giles had last visited the conference eight years previously when he was CPT President, and said that in Scotland he found a deep seated and rooted belief in what buses and coaches can do and the role that they play in society, highlighting the huge common sense in arrangements for the administration of concessionary fares compared with England. Strong relationships between the industry and politicians can and must continue, he argued, to enable solutions to be found when times are difficult, so that we can be truly focussed on serving the customer and nothing else. Returning to England, he noted that the Bus Services Bill was one of very few bills that the Labour Party was united upon, and that was galvanising other politicians to take an interest. The Bill meant that the industry was able to have conversations about buses at a level that could not usually be reached. Talking about buses had to be a good thing and there was something out there that we had to really grasp. All of the three facets, which were open data, franchising and enhanced partnerships, had to be tested against other options to ensure that they put the customer first. Enhanced partnerships would allow local authorities to deliver and commit to agreements for which they were accountable. Scottish politicians would no doubt watch what was going on. Later in his presentation he noted that re-regulation would not solve anything of itself. As many speakers did, Giles referenced Greener Journeys work on congestion and regarded the reduction of journey speeds annually and the consequent loss of bus patronage as ‘frightening’. He noted how, during the recent bus strike, stores in Leeds that habitually underestimated the importance of bus users to their footfall, had really been complaining about loss of custom, ‘but they’ll forget’. Turning to Wales and the appointment of Ken Skates as Cabinet Secretary for Economy and Infrastructure, Giles said he was, ‘very clear about the role of the bus’. Giles looked at a number of other areas including ticketing, clean air, enhanced vehicle specifications and particularly the need to work together, concluding that life was continually changing, customer expectations were higher, we needed to be cleaner and crisper with our messaging and we needed to achieve as much as we had in the last eight years in the next two years. You may already know that AGS stands for Aberdeen, Glasgow and Southampton (I didn’t), the second biggest airport group in the UK. Amanda has managed Glasgow Airport since 2008 and in that time it has grown from handling 6.3m passengers annually to 8.7m in 2015 and, weather and other factors permitting, a projected 9.3m this year. She pointed out that although she only had 500 staff reporting directly to her, there were ten times that number working on the site and her philosophy was to make everyone, including First’s drivers on the 500 Airport Express service, feel part of the same team through the cultivation of a one-campus culture. It must be working because Glasgow is the only airport to have held the big three airport awards simultaneously. This is a lady who does not mince her words and in her closing comments she dismissed Prestwick Airport saying that she would only need seven additional staff to handle the 500,000 passengers it welcomes annually. In a presentation that updated one I saw James give at a Young Bus Managers Network conference in November last year, he began by explaining that First West of England is somewhat to the east of where most people regard as the west of England and roughly equates to the area once known as Avon. James inherited the ‘legacy of a septic reputation’ with customers, the local authorities and, to an extent with staff who were underpaid by local standards, and hard to recruit because the Bristol area has even higher employment levels than London. James contends that passengers and staff want to be part of the winning team, the industry is not good at detail and the business is all about the detail, and that if you can make people feel good about travelling on buses, they will. The pay rates were addressed and increased considerably, with the result that the business is now only 37 drivers short, it had previously been 200 short. Though pay helps, it is only part of the necessary package. James believes that most bus workers see themselves as victims, suffering from a lack of self belief, self respect and self awareness and also a lack of respect for each other. Therefore, building self respect is a key industry interface. There has been massive investment in new buses, new M-ticketing and growing the student market but much of the effort has been on trying to change the balance for people so they believe that what they do is worthwhile and makes a difference. ‘We want to get away from Little Hitlers who have a little bit of power and want to use it’, he said. It started with recruitment and training, and the more senior your recruiters and trainers were, the better. If you wanted to recruit women it also made sense to employ female recruiting staff, he said, advising, ‘seek people who like people’ and ‘empower them’. He believed it was important to encourage gender and ethnic balance, and respect for that, through various measures, one of which was celebrating the differences, an example of which was arranging canteen meals of different ethnicities. He concluded that looking after your staff encouraged them to look after you, your customers and the bottom line, so inclusion pays. After James Freeman had spoken of making our passengers into winners, it was over to Leon Smith who knows all about winning having captained the British team that won tennis’s Davis Cup in 2015 for the first time in 79 years, rising up the rankings from 44 to number one. He spoke of his time coaching Andy Murray in his teens (‘if you think he’s moody now…’) and, echoing James Freeman’s contention that the detail is all important, explained some of the things he had done to motivate teams and individuals, emphasising how it was important to make everyone, whatever their role, feel part of a winning team. was the after dinner speaker at a well attended conference banquet and his presentation on what appears to be happening regarding Brexit was perhaps a little sobering for so late in the conference evening. The key points were that since the Scottish independence referendum, every rule of politics has been turned on its head, with the result that it was now very difficult to give any political insight. Despite this, from what had been said so far he noted that Theresa May had interpreted the meaning of Brexit very narrowly as about migration, which meant that there was no chance of a deal that would see the UK retain membership of the single market. It was clear the Government was going for a hard Brexit. It was also clear that although the Scottish First Minister had talked of her two red lines, these were not even going to get a look in, because it was a constitutional fact that a second referendum could not take place without it being a consented process, and if Mrs May wouldn’t play ball, that was that. Bernard noted that although there was talk of EU negotiations, there may not be any negotiating to be done. He also believed there was a possibility that, once the terms of Brexit were clear, some politicians who had kept their powder dry might come out and demand a second referendum on those terms. A prize raffle held during the event raised £1,270 for the Beatson Cancer Charity. ‘Consultation is also what we’d like from National Government, for example, the Bus Service Operators Grant. We do not want a repeat of 2012 when the grant was cut by 25% with little forewarning and no meaningful consultation on the impact of such a huge reduction. A look at patronage levels in Scotland in the last 18 months or so, following the 2012 cuts, illustrates the hugely negative results of that decision as operators were forced to reduce service levels and increase fares. Almost five years on, we now find ourselves facing potentially similar changes,’ she said. She also argued strongly for the retention of the current level of reimbursement to operators in respect of the concessionary travel scheme. Humza Yousaf MSP, Minister for Transport and Islands. He noted the industry’s concern about the potential loss of BSOG and how important it was to retain it and said he would make the case for the scheme in the Scottish Spending Review. He was looking at the English Buses Bill but he was not going to nick it. He was open to anything. He believed anyone calling for re-regulation lacked an understanding of the bus industry as well as the costs such a move would involve. In answer to a question on considering bus services in planning applications, he was aware of the issue saying he had seen an example in his own constituency where bus provision seemed to have been completely neglected. He planned to do work on planning legislation and there would be a full consultation, which was due in 2017. Setting the scene, Rob Jack said that the transport scene today was much as it had been when he was born in the 1970s, but he thought that when his baby son George reached his age ‘the transport proposition will be very different.’ He believed it was possible to survive digital disruption if you could adapt and the digital age was probably an opportunity. Already he didn’t leave the office until he knew there was a bus coming because he had an app that gave him the information. Digital technology could turn your customers into winners. In his introduction Chris Yiu, Uber’s General Manager for Scotland and North East England, said that Uber was the fastest growing company ever. 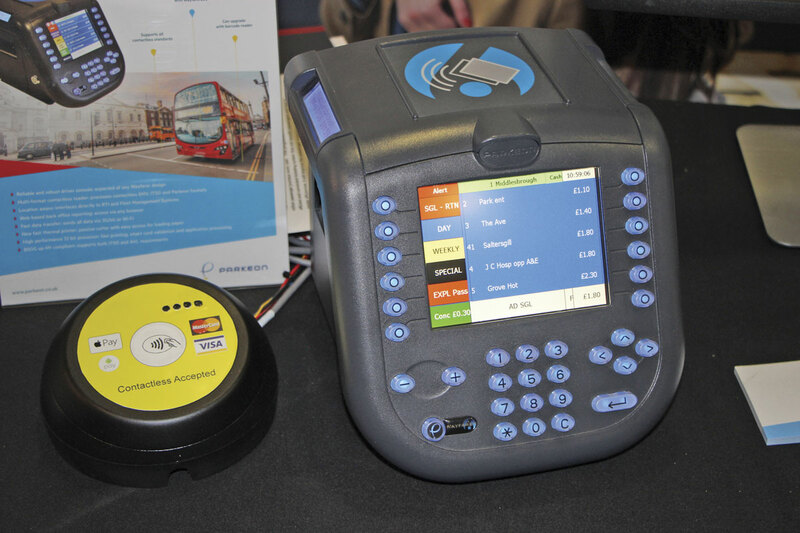 It’s aim was to provide, ‘transportation as reliable as running water for everybody, all over the planet.’ It was already active in 510 cities worldwide and in the UK it was all done through licensed private hire drivers, though the exciting bit was the technology. He claimed using Uber was safer because you got ‘really good visibility’ (including a picture) of who was picking you up. It was also easy because it was cashless. There were other opportunities such as Uber Pool whereby you shared your private hire with another customer and paid less for the journey and Uber Rush, which reduced congestion because the same car that carried passengers also carried parcels. His view was that Uber complemented public transport because it filled in the first and last mile and it was good at responding quickly to changes in demand. It offered dynamic pricing and realtime flexibility and could be integrated with other planners. Stephanie Rivet set up Stagecoach Digital in 2015. It had been a big investment but it was starting to pay off. It did bring challenges because websites and apps were expensive and they ate into margins. She said people wanted information. They understood things could go wrong but they wanted to know about it. They wanted more personal information and more choice. People did want mobile ticketing. Stagecoach research had shown that many people tolerated rather than embraced cash. Many had pockets full of mints because they habitually broke notes in advance of travelling so that they had the right change. New customers didn’t want to go the extra mile and would not break notes. 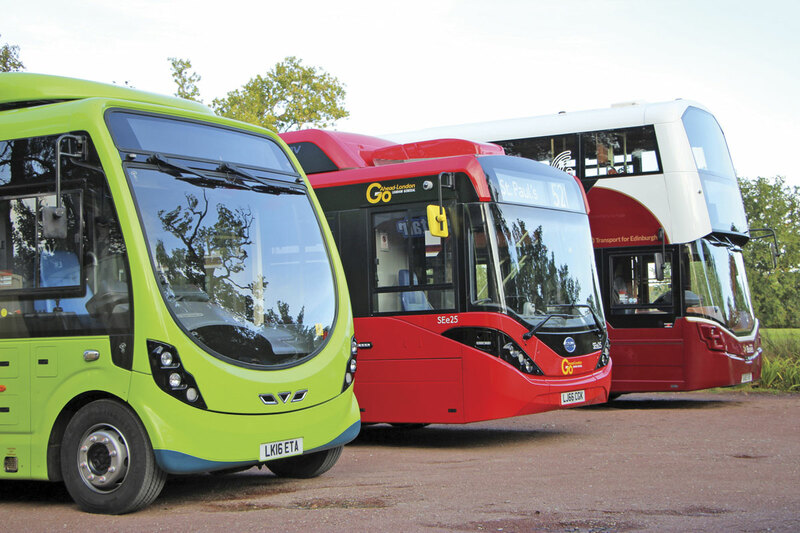 Asked whether the bus industry had not been as quick as it might have been to adjust, Stepanie Rivet said it was never too late to embrace change and it was better to give no information that the wrong information. There were some big legacy systems that had needed to be moved on. She could see a future where people would have personal transport planner apps on their phones. On the importance of open data, Phil Blythe believed it was very important, because information had to be right. Chris and Stephanie agreed that it was quite possible for Uber and bus operators to work together, people often took a taxi out and a bus back. It was important to keep the customer in mind. Chris noted that most legislation covering taxis and private hire predated the internet age. The Government needed to work out what fitted within the spirit of the law and harness modern technology. There were inexplicable barriers such as changes at local authority boundaries. He pointed out that research had discovered that additional customer service training for drivers (as demanded by some authorities) did not make any difference to the service they provided to customers. Phil Blythe saw a challenge for the Government in understanding whether it needed light touch regulation or something more. It was trying to understand and still didn’t know. He thought Government would prefer to leave business to it when it could. On autonomous vehicles, Phil said that it was already technically possible already but would people want it? Chris believed that, in time, it might become socially unacceptable to drive a car. Already less people were learning to drive a car. In a presentation that united the oil industry with the game show ‘Wheel of Fortune’ James Spencer’s ‘Wheel of Misfortune’ addressed challenges to the industry and their financial implications in 12 separate topical mini presentations, the order of which was randomly selected by a computer generated wheel. The 12 topics comprised four each from three different perspectives – the World, Scotland and Scotland versus the World. It successfully made what might be thought rather a dry subject into a lively and absorbing one. The key points that I took away were that: there is no future for the Scottish oil industry when oil is below $50 a barrel, most of the world’s oil is produced in places that are somewhat less than stable (35% of it in the Middle East); OPEC’s (Organisation of Petroleum Exporting Countries), members don’t like each other and though they say they are going to cut production they have never done so previously when they have said the same thing; diesel has been dominant for the last 15 years and that is going to change; North Sea production is under a real threat with most producers pulling out; except Total, who are investing to find gas, which will be the new battleground because as electric cars come in gas will be needed to produce the electricity, which also means fracking will come; currency fluctuations and the drop in the value of the pound mean that UK fuel prices will go up; America can, for the first time, now export oil and its shale oil industry is thriving despite efforts by OPEC to finish it: production in one Texas field opened in 2008 and is now double that of the UK sector of the North Sea; however a worldwide depression would mean lower oil prices. James concluded, that though you could identify what the different factors were, you could never know when they would come into play (which was why fuel price hedging was worthwhile). As he saw it, the losers would be the upstream end of the supply chain, Big Oil and Scotland, while the winners were the downstream suppliers (such as Grangemouth refinery) and the independents. Events of this nature would not be possible without the support of sponsors and the four key partners were ADL, Wrightbus, Volvo and Drummond Bridge (who are in recruitment), along with sponsors, Scania and Ticketer. Also supporting were: EP Morris, Lazzerini and Portland Fuel Price Protection, while Castle Computer Services and Parkeon joined the supporters and sponsors in exhibiting in the tea and coffee break area. 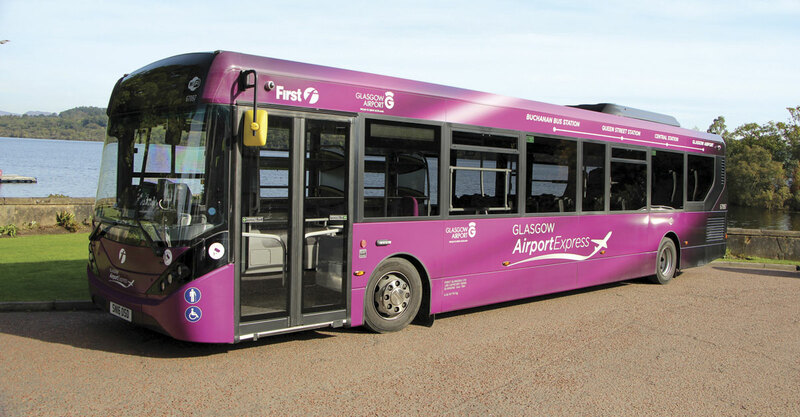 A small number of demonstration vehicles was displayed in the hotel car park, including a Wrightbus StreetAir electric, a Go-Ahead London ADL/BYD Enviro200EV, a Lothian Wrightbus Gemini III bodied Volvo B5LH and an ADL Enviro200 in Glasgow Airport 500 service livery from First Glasgow. Less locally political and more directly applicable to the whole of the UK than in some previous years, the Conference nevertheless retained a distinctly Scottish flavour and a vitality born of a sense that progress is possible. This in turn is underpinned by the openness, accessibility and genuine interest of the country’s elected representatives in a way that you rarely see south of the border. It was also refreshing not to have to listen to a lot of unsubstantiated assertions about how wonderful franchising would be.